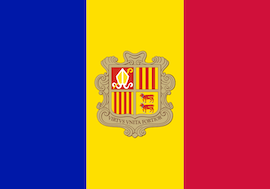 Andorra will soon announce the winning bidder for its first land-based casino. According to Asia Gaming Brief, there are 13 bidders for the licence, including French group Partouche, Barrière, Raineau and Casinos Austria. The two largest bids have supposedly been made by Malaysia's Genting and Catalan group Cirsa, both of which pledging €140m. The winner will be will be issued a licence, with a maximum duration of 20 years, that will allow for the construction of a gaming resort. The property will have to be of minimum investment of €10m.